Executive Order No. 12919 was signed by bill June 3, 1994. Essentially, it consolidates all power into the POTUS’ hands in case of a national emergency. By all power, I mean ALL power–the ability to declare a dictatorship, martial law, etc. What was once State’s rights will cease to exist. The order is 10 pages long, way to long to publish here. However, it can be found in its entirety here. “national emergency” would have to be in order for this EO to be signed. all aspects of the US Constitution and the Bill of Rights. 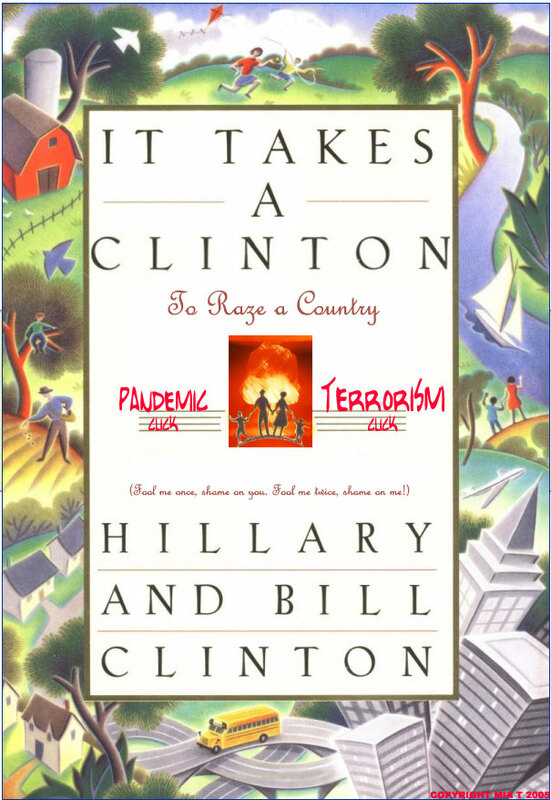 If you think for a second bill and hillary have forgotten about the tracks they laid down while in office, think again. They consolidated this power for the sole purpose of ruling this country with a bloodied, socialistic fist. Go read the article and the referenced sources. If it doesn’t wake you up to the danger of this woman, nothing will. We hear plenty of talk about hillary and WMD’s. She thought Saddam had them, then she didn’t, then she did and on and on. However, perusing a book I’ve had for quite some time, I find WMD’s were a part of her–and our–lives as far back as November 14, 1994. What happened November 14, 1994? 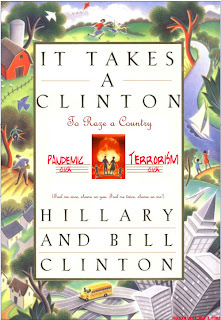 hillary’s husband, then POTUS, declared a National Emergency. It became known as Executive Order 12938. This order was extended by bill November 14, 1995, November 14, 1996 and November 14, 1997. As of this date, I can find no evidence of this Executive Order being rescinded, almost fifteen years later. EO 12938 doesn’t specify the exact nature of the national emergency. Below is the text of EO 12938 and can also be found here. Sec. 3. Department of Commerce Controls. (a) The Secretary of Commerce shall prohibit the export of any goods, technology, or services subject to the Secretary’s export jurisdiction that the Secretary of Commerce determines, in consultation with the Secretary of State, the Secretary of Defense, and other appropriate officials, would assist a foreign country in acquiring the capability to develop, produce, stockpile, deliver, or use weapons of mass destruction or their means of delivery. The Secretary of State shall pursue early negotiations with foreign governments to adopt effective measures comparable to those imposed under this section. Sec. 4. Sanctions Against Foreign Persons. (a) In addition to the sanctions imposed on foreign persons as provided in the National Defense Authorization Act for Fiscal Year 1991 and the Chemical and Biological Weapons Control and Warfare Elimination Act of 1991, sanctions also shall be imposed on a foreign person with respect to chemical and biological weapons proliferation if the Secretary of State determines that the foreign person on or after the effective date of this order or its predecessor, Executive Order No. 12735 of November 16, 1990, knowingly and materially contributed to the efforts of any foreign country, project, or entity to use, develop, produce, stockpile, or otherwise acquire chemical or biological weapons. (d) The Secretary of State and the Secretary of the Treasury may provide appropriate exemptions for procurement contracts necessary to meet U.S. operational military requiorments or requirements under defense production agreements, sole source suppliers, spare parts, components, routine servicing and maintenance of products, and medical and humanitarian items. They may provide exemptions for contracts in existence on the date of this order under appropriate circumstances. Sec. 5. Sanctions Against Foreign Countries. (3) developed, produced, stockpiled, or otherwise acquired chemical or biological weapons in violation of international law. Sec. 11. Effective Date. This order is effective immediately. This order shall be transmitted to the Congress and published in the Federal Register. Most people don’t know this; however, EO’s become law if not voided by Congress within sixty (60) days. To date, Congress has yet to repeal any EO. Clinton began consolidating power under EO 12919 in June, 1994. Throughout his tenure as POTUS, he issued 364 EO’s. 364. And not one ever repealed. So, how does this apply to hillary? She was right there as he instituted these orders. Over the next few weeks, I’ll show how, between the two of them, they did all they could to consolidate power into the CIC job–a job hillary desparately wants now. And it follows their socialist agenda. Can you honestly think this woman and her philandering, lying, morally corrupt husband are good for this country? She would devastate this country–right after opening the floodgates to the jihadists. Manufacturing an unspecified state of national emergency and continuing it through successive years is an extremely ominous sign. It leaves the door wide open to whatever and however she and bill choose to interpret “national emergency” (what does “is” mean? ).